DCM has been helping to get homeless people into homes, Tony is a success story, who now lives in his apartment. Sleeping outside Wellington's Downtown Community Ministry, all Tony wanted was a home. It was a last stop after years of rough living, years spent on-and-off a Housing New Zealand waiting list, and years since the death of his beloved girlfriend took away the roof above his head. "I was into the street life, and these departments I was going to for help, they didn't understand the street life." But maybe these departments don't have to understand the street life to help. A Housing First initiative, which offers the homeless a house before any other support, is finding favour as a solution to an entrenched issue. 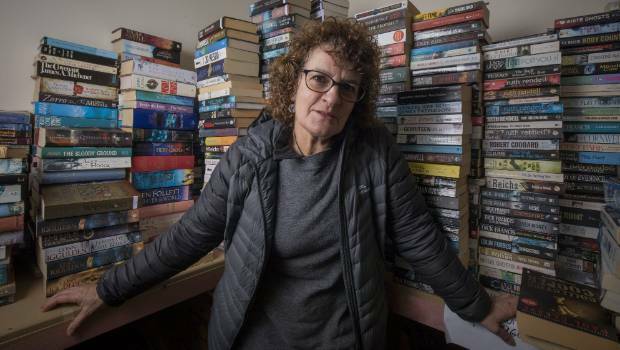 Dr Sam Tsemberis, a Canadian community psychologist who founded the internationally recognised initiative, said New Zealand could solve a "totally manageable" chronic homelessness problem. "The number of people that are rough sleeping, relative to the population, is a small number. You've got a situation that actually has a solution, and now there seems to be a political will to actually do something about it. "So I think it's a good moment for New Zealand." Stephanie McIntyre, director of Downtown Community Ministery, Tony, a formerly homeless man who has been housed by the DCM, and Dr Sam Tsemberis, expert in 'Housing First' welfare model, in Tony's one-bedroom flat. DCM has been helping Tony get into his own house. Tony has been homeless and sleeping rough in the streets of Wellington. Tsemberis held a workshop with 75 policy makers and community workers in Wellington on Wednesday, and is encouraged by the momentum behind the initiative. The Government's 2018 budget put $60 million into a four-year Housing First program, adding 550 homes to an already established 900. 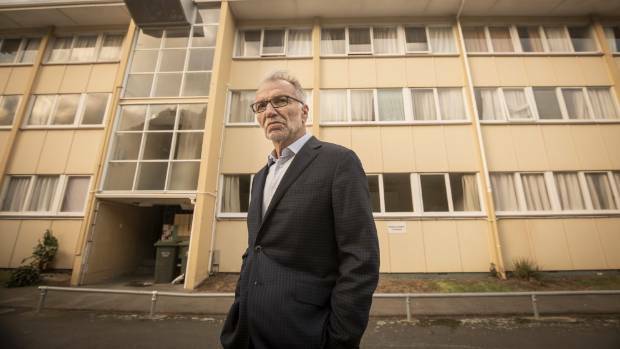 The initiative has been developed in Auckland, Tauranga and Christchurch, with the Ministry of Social Development providing homes to 288 chronically homeless households, as of June 30. In Wellington, up to 150 Housing First places have been proposed for late 2018. It comes as 8704 households sit on a state house waiting list, a 56 per cent increase in the past year. Downtown Community Ministry's own figures show the number of rough sleepers which seeking help have jumped from 151 in 2015, to 242 in 2017. Tsemberis said Housing First must next be taken to scale, beyond accommodating for 75 people in a city, with a percentage of state houses set aside to offer immediate tenancy to the chronically homeless. Dr Sam Tsemberis, expert in the 'Housing First' welfare model. And Tony is an example of how Housing First can be a success, though it isn't an example of the policy in action. "Housing First is immediate access, [Tony's] is fortuitous access." Tony - who declined to give his last name - speaks with pride while sitting on the tired red couch in the small one-bedroom flat he moved into in May. "Of course it's better having a house to myself. I love myself when I say I've got my own place." His life has been one of trauma, and everything that comes with it, too much to capture in a brief meeting. A bad-tempered, violent father drove him from the home at 18-years-old. He then found whānau and another, even more violent, father figure in the Nomads. It was on the streets, off the streets. He lived with his girlfriend, Sally, but that ended when she died of cancer three-years-ago. "I was homeless, I was down on my luck, my girlfriend had passed away." That's where the Downtown Community Ministry (DCM) and community outreach worker Robert Sarich come in. Sarich helped maintain Tony's priority level on the Housing New Zealand list, which eventually got him the home - no questions asked. Other welfare models may have required Tony to have identification, or required him to stop drinking. 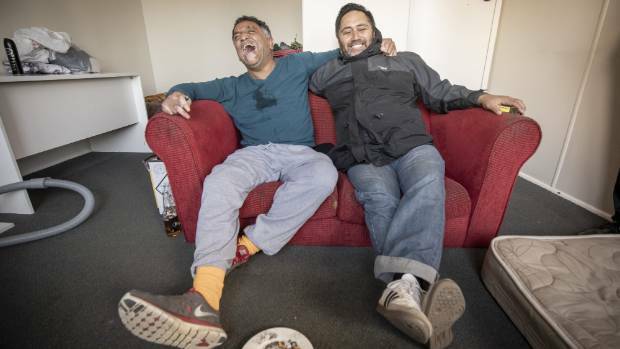 Tony, a formerly homeless man who has been housed by Housing New Zealand and the Downtown Community Ministry, with Robert Sarich, community outreach worker, in Tony's one-bedroom flat. But now, Sarich can visit Tony weekly and help guide provide the support he wants. "A big part of Tony's plan is to get his ID and to get his whānau over to spend some time," Sarich said. DCM director Stephanie McIntyre said ideally Tony would have accessed housing the moment he asked for it. "Our hands are quite tied unless we unlock more housing. The resources aren't yet in Wellington ... but that is coming."